Excellent cuisine, prized white truffles, hazelnuts and chocolate! On this self-guided walking holiday you'll explore the beautifully tranquil Langhe region of Piedmont, a gastronomic gem quietly tucked into Italy's north-western corner. Your route starts and ends in Benevello, nestling in the hazelnut-clad Alta Langa hills, from where you follow the limpid Tanaro River before climbing through a string of hamlets to Grinzane Cavour where you'll enjoy gorgeous balcony views from the hotel terrace! It's then on to Castiglione Falletto, dominated by its distinctive C11 castle. As you approach beautiful Monforte d'Alba, whose ochre-coloured houses seem to cling enchantingly to the hillside, you visit Barolo, home of the revered eponymous wine. Distances are reasonably short, leaving plenty of time to try the many regional specialities en route. This rich and fertile land produces some of Italy's finest food and wine, from robust Barolo and sweet Moscato to aromatic white truffles (exclusive to Alba), crunchy hazelnuts and tangy cheeses. Your week in the Piedmont Hills is complemented by our carefully picked hotels, often with pools, and full of character and contrasts, from Serena's friendly, family-run hotel in the centre of Castiglione Falletto, to a beautifully restored C19 family villa, complete with its own converted chapel and Michelin starred restaurant in Benevello. The walks are mainly through vineyards on earthen paths, forest trails and some asphalt sections. Walking boots are essential and poles are recommended for the ascents and descents through the vineyards which may be uneven underfoot. 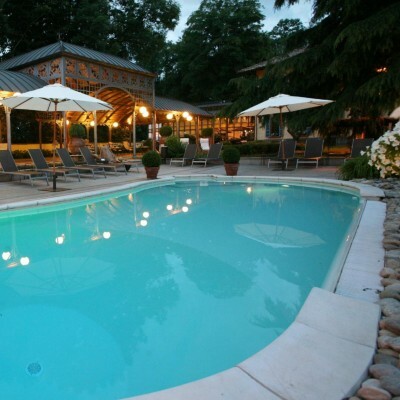 Arrive at your hotel and perhaps enjoy a swim before heading out for dinner. Or you could book a table at the hotel restaurant - the Michelin-starred chef here trained under Marco Pierre White! After a short transfer you follow a gentle path alongside the clear waters of the Tanaro River, next to which pheasants and partridges rustle in the oak forest. It's on to Roddi (the castle here used to house the University of Truffle Dogs!) and Grinzane Cavour with its wonderful megalithic castle with amazing views. At your stunning hotel in the village centre you can enjoy a drink on the terrace at your stunning hotel. Grinzane Cavour is an atmospheric wine village with wine-tasting on offer in its UNESCO-recognised castle. Gastronomic capital, Alba, is easily reached from here (you may wish to take a taxi there, then walk back); explore the cobbled crimson squares and bustling porticoed streets. After a short transfer to panoramic hilltop Diano d'Alba you follow lush paths with hawks cruising overhead as you cross the Talloria River. Then it's a gentle climb through holm oak to reach Serralunga d'Alba, whose C13 castle seems to surge towards the sky - you still need to cross the drawbridge to visit it. A last gentle ascent through vines takes you to the centre of Castiglione Falletto and your welcoming village hotel. Perhaps follow a circular route today (route directions provided), first visiting tiny Annunziata with its frescoed chapel (and an excellent farmhouse trattoria). Then it's on through sun-dappled hamlets and delicate swaying vines to reach La Morra, the 'Balcony of the Langhe', with plenty of wine-tasting opportunities in the bustling centre - even Julius Caesar stopped here to try some! Descending gently to the Talloria Valley, you follow the stream's poplar-shaded path towards the ochre-hued C16 castle of Barolo, which stands guard over the village's world-famous vineyards. Maybe visit panoramic Novello, a belvedere town built as a summer retreat for the residents of Alba, before continuing through fields ablaze with colourful wild flowers to reach your elegant villa hotel at Monforte d'Alba. 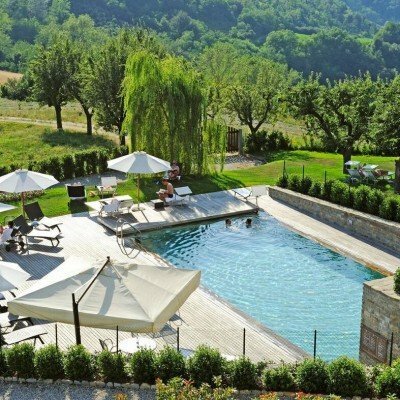 Situated in its own scented garden with views across mediaeval Monforte and beyond (even Mont Blanc on a clear day), Villa Beccaris offers a tempting swimming pool and a sun-trap courtyard. Alternatively, explore this pretty town with twisting streets clinging to the hillside. There are also plenty of opportunities for wine-tasting. Take a lift to lovely Serravalle Langhe, from where you join the Sentiero della Valle Tanaro. First, shaded by hazelnut, oak and poplar trees, you reach Albaretto della Torre dominated by its C13 Duecentesca tower. After lunch the panorama opens out with spectacular views back to Alba and the Tanaro Valley as you descend gently towards Benevello. There's time for one last swim before deciding where to head for dinner. The Relais Villa d'Amelia is a luxuriously restored 19C family villa (and a member of the 'Small Luxury Hotels of the World'), just outside the Alta Langa village of Benevello. The Villa d'Amelia has 37 ensuite rooms including three suites (one of which is located within the old chapel!) decorated in a modern style with neutral paints and dark leather and beech furnishings. The hotel also boasts a central courtyard with sofas and chairs for relaxing outside, and a stunning lounge area complete with a grand piano! Facilities at the hotel include a sauna, jacuzzi, Turkish bath, and lovely outdoor swimming pool. Room upgrades: Deluxe Room, Junior Suite or Suite. Deluxe rooms - offer views onto the surrounding hills; some (not all) of the deluxe rooms have a 4 poster bed and are a little larger. Junior Suites - much larger than the other room types. You will also benefit from a sitting area, with sofa, dressing gowns and larger bathrooms. There are just 2 junior suites - one overlooking the courtyard and the overlooking the hills. Please note that as these rooms have 4 poster beds, only double rooms are available. Casa Pavesi is located in the heart of the hamlet of Grinzane Cavour - located just 5km away from Alba - and directly opposite the village's elegant 11C castle. The hotel is a stylishly restored town house with 12 ensuite, individually decorated rooms, which are quite large and opulent. There are two cosy public rooms with comfy sofas as well as a small bar in the same area. 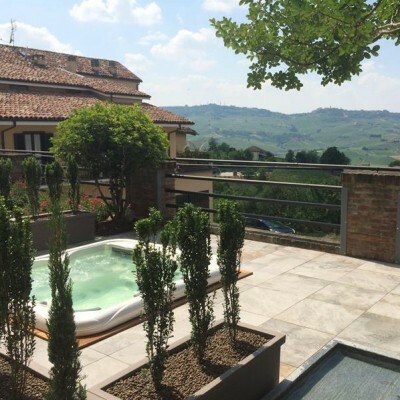 There is a lovely terrace to the rear of the hotel, affording gorgeous views of the Langhe countryside. Room upgrades: Superior Room, Suite 32, Suite 25 or Suite 11. We are delighted to have found the charming Hotel Le Torri, situated in the heart of the village of Castiglione Falletto and run by the affable Marco and Serena. The hotel has been in Marco's family for nearly 20 years - back then, Marco's mum was in charge, and assisted by a very young Marco! In 2011 the hotel was given a major refurbishment, to become the modern and stylish accommodation it is today. It even has a small enoteca, where you can buy some of the local wines! Room upgrades: Superior room or Suite Deluxe. Superior room - larger room with balcony and Langhe countryside view. 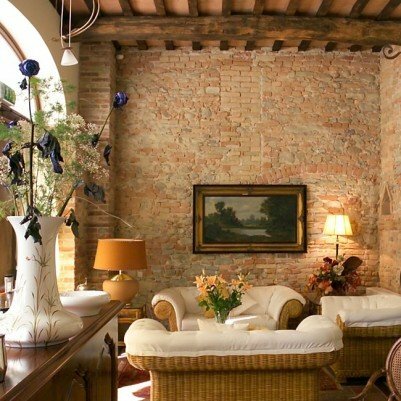 Hotel Villa Beccaris is a gorgeous 18C villa overlooking the beautiful town of Monforte d'Alba. The Villa has 23 rooms, which are divided into categories; Headwater guests will be allocated classic rooms. All rooms, however, are beautifully furnished in an individual, traditional style often with antique furniture but with modern touches. The Villa is located within beautiful gardens and has a panoramic swimming pool which overlooks the honey-coloured town, surrounding countryside and mountains beyond. The hotel also boasts several elegant sitting rooms, its own enoteca and a very charming bar. Room upgrades: Deluxe Room or Suite Room. 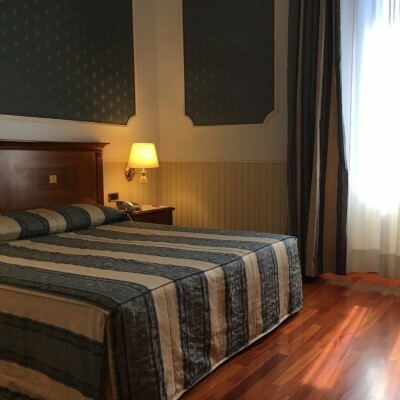 The Andreola Hotel in Milan is ideally located for a stopover hotel. It is only 300m from the central station, from where shuttle buses run to Malpensa and Linate airports. The building is in the financial district - it is around a 20 minute walk into the renowned cathedral. The early 1900s building is more impressive inside than out - the marble columns, floors and gilt furniture in the lobby makes the interior very plush and elegant, and the 84 bedrooms are decorated with rich fabrics, paintings and marble en suite bathrooms. 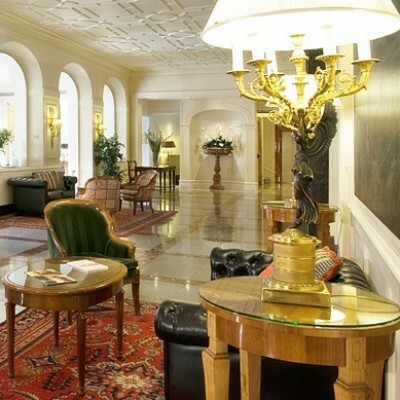 Boasting a prime location in Turin's stunning centro storico, just a short walk from Piazza Castello, the Grand Hotel Sitea certainly lives up to its name, with its elegant entrance hall and opulent yet traditional sitting rooms. Bedrooms are similarly stylish, with marble ensuite bathrooms and all the comforts you'd expect from a 4* hotel. The Hotel Sitea has been accommodating travellers for over 90 years and perfectly blends the modern with the traditional. Previous guests at the hotel include the musician, Louis Armstrong. Unusually for a city centre hotel, the Sitea also benefits from a quiet garden - perfect for a relaxing drink after a day's sightseeing. Transfers included from Turin airport 16:15 Mon-Thurs & Sun, 13:50 Fri & Sat, and back to Turin airport at 13:00 Mon-Fri, 10:25 Sat & Sun. Every two days from 29th Apr 2019 to 22nd Oct 2019, for 8 nights. All dates are subject to availability, please contact us to check.